Buying a home is the largest financial transaction many people ever make. 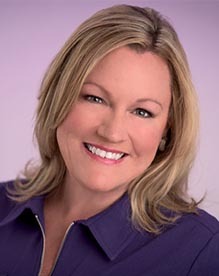 If you would like an EXPERIENCED professional to help guide you every step of the way, MICHELE BURBANK is who you need. Helping clients make good decisions since 1985. FOR SALE-- builder's personal home on one of the best lots in Riverchase that overlooks the lake & 1st green of the Riverchase Country Club golf course!! This 4 BR, 4 full bath, 2 half bath one-level home with finished basement oozes charm and custom inside & outside. Check out the deep crown moldings; solid oak doors; large bedrooms all with walk-in closets; lots of storage; private, salt water pool with Polaris cleaner; main level covered deck & lower level covered patio; central vac; tornado shelter; reinforced patio; 3-car main level garage with double thick floor; circular driveway, ++. 2 bedrooms/2.5 baths on the main level plus 2 bedrooms/2.5 baths on the lower level plus play/rec, mini kitchen, office & pool room--perfect in-law suite! The main level features large kitchen with induction cooktop; island & plenty of cabinets; keeping room; great room with fireplace, 18 ft. ceiling & sky lights; laundry; dining room. WOW!